Your opponent kicked a FG on the first possession of overtime, and now your team needs a TD to win or a FG to continue the game. Your offense has driven down to the opponent's 10-yard line, but the drive has stalled. It's 4th down and 3. Should you go for the risky conversion and ultimately a TD for the win, or should you attempt a FG knowing you'd be at a disadvantage giving the ball to the opponent in sudden death? 2. A possible second possession in which the offense is down by 3 points. It must score a TD to win or a FG to continue into SD. 3. Lastly, traditional SD itself. The three game states successively easier to model. The first possession must consider all the possibilities of the following two states. The second state must only consider itself and the possibility of SD. The second possession is also slightly easier to model because there is no punt option. An offense trailing by 3 points simply must score or lose. This Sunday, Cam Newton will finish his second NFL season. As the final whistle blows in the Panthers' final 2012 contest against New Orleans, Newton will have finished the greatest first two seasons we've ever seen out of an NFL quarterback. And at least in the realm of the regular season, it isn't particularly close. Newton enters Sunday with the following career statistics: 574-for-969 passing (59.2 percent), 7,672 yards, 40 touchdowns, 28 interceptions; 246 rushes for 1413 yards (5.7 per carry) and 22 more touchdowns. Newton's 8,584 net yards -- including 70 sacks taken for 501 lost yards -- the Panthers star has an exactly 800 yard lead on Peyton Manning's old 7,784 net yardage mark, the previous best for any quarterback in his first two seasons. Newton still has one game left. 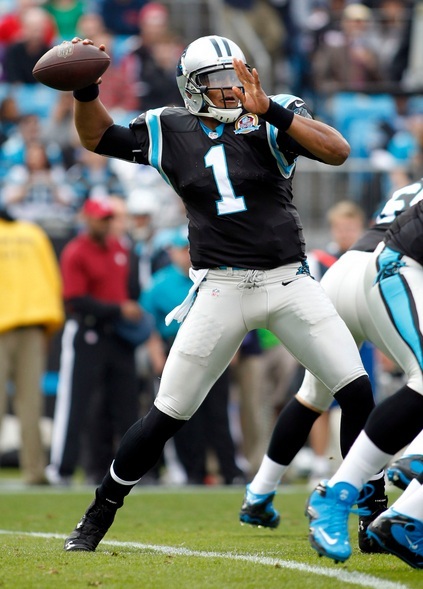 Newton's 7.9 yards per attempt ranks fourth (Ben Roethlisberger, Dan Marino, Mark Rypien). His 62 total touchdowns ranks second (Marino). Newton's only major category away from the top: a 2.8 percent intereception rate, still 16th of the 78 quarterbacks since 1933 to start at least 20 games in their first two seasons. Only Andy Dalton attempted more passes than Newton of those above him on the list. It's the season for giving, and in that spirit I have created something for local sports columnists all over the country. I know it's tough cranking out columns week after week. There are only so many story lines that can be told over and over again. They say there are only seven basic plots in all of literature, so how many can there possibly be in professional football? Localtown, ST -- Sometimes our hometown team has two turnovers, sometimes it has one, and sometimes it has none. 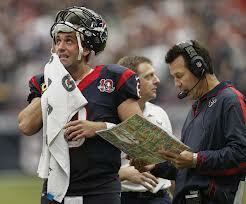 Sunday, it had two, one fumble and one tipped pass for an interception, and that's probably why they lost. The end. Season after season of regurgitating the same narratives must get old, and I'm sure sometimes columnists feel like they could be replaced by a robot. Well, now they have. 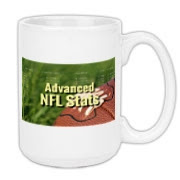 How could a website with the name "Advanced NFL Stats" let the occasion of Calvin Johnson's record breaking season go by without making note? Saturday night Johnson broke Jerry Rice's record of most total receiving yards in a single season with one game still to play. But the truth is that the record for most receiving yards (or rushing yards or whatever yards) is not "a statistic." It's trivia. 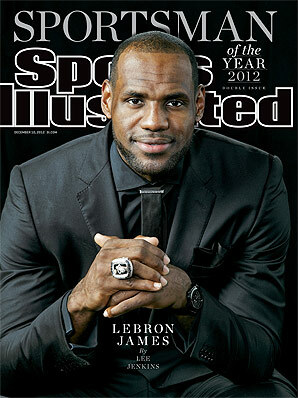 It's the answer to a question on the ESPN sports-trivia-a-day calendar you just bought for your nephew for Christmas. It's the kind of thing that gives stats a bad name, or at least a misleading one. Don't get me wrong. 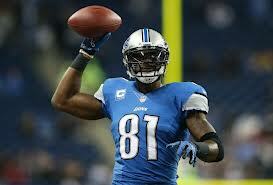 I think Calvin Johnson is awesome, and all the numbers agree. 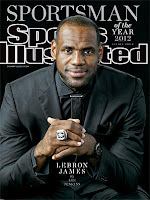 Fans and media are right to make a big deal out of such an accomplishment. It's just that records like this are what most people think of when they hear the word statistics. It's understandable then, that when coaches or players think of stats, they dismiss them as pointless or "for losers." After all, how could knowing who holds the record for most receiving yards in a season, or memorizing how many yards that is, possibly help a team win? Mark Sanchez. Aaron Brooks. Tim Couch. Joey Harrington. It's a remarkable list* not because of how bad these players were but because of how long their teams decided to stick with them. But this is sometimes the trap teams fall into with quarterbacks -- they become pot committed, too invested in the quarterback's success to back out and push the reset button. *We could probably add Jake Plummer to it if we had EPA data for the 1999 season, as he carried a streak from 2000-2002. The immediate aftermath for the three other squads has not been pretty. They combined to win just 17 games over the next three seasons combined, for an average record of 5.7-10.3. Only the Saints managed to pull themselves out of the mess thanks adding Drew Brees and Sean Payton before the 2006 season -- and they still missed the playoffs in two out of the three seasons. 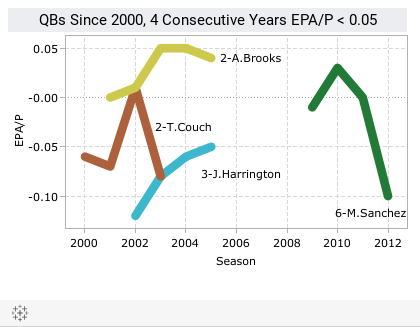 What sets Brooks apart from Couch and Harrrington (and Sanchez) is Brooks wasn't a first round pick. He was a fourth-round third-stringer acquired from the Packers and he only earned a start with the Saints thanks to injuries. Brooks ran with the opportunity and turned it into five seasons as the Saints' starting quarterback. The Browns and Lions, on the other hand, given the investment (both in terms of money and the early draft pick) in their failed quarterbacks, had much farther to climb to get back to respectability. Both have made just one playoff appearance since, and the clubs have combined to average under five wins per season each. As always, these numbers come courtesy of Chris Cox at NFL-forecast.com and are generated with the help of his NFL-Forecast software app, which uses the win probabilities generated by the team efficiency model to create a Monte Carlo season simulation. And if you don't buy the game probabilities from Advanced NFL Stats, you can tweak them as much as you like to generate your own playoff projections. I encourage everyone to download the app and test out your own scenarios. It's always fun to go back earlier in the season to see how far off the initial projections were. In Week 9, the projected division winners in the AFC were NE, PIT, HOU, and DEN. (BAL and PIT were about 50/50, as were NE and MIA(!).) The most likely wildcards were BAL and MIA. OAK looked to be a better shot than either IND or CIN. Ouch. In the NFC the forecast winners were NYG, CHI, ATL, and SF, although CHI was only at 50%. The NFC wildcards were GB and SEA. Not too shabby. Jason Lisk of Big Lead Sports, and longtime friend of ANS, investigated which players tended to show up on the rosters of winning fantasy teams. For whatever reason, I think that's pretty interesting. 1) Smart fantasy players overlook previous outcomes and understood his ability to have a high payoff as a RB on a team that can move the ball. 2) Wilson was a scrub who was stuck as a backup behind teams who already had a very healthy RB situation with little reason to go digging for better options. 3) Wilson got his opportunity very late in the season after losing fantasy owners had long since given up prowling the waiver wire. Fantasy teams in the playoffs, which already solidified winning records, would tend to be the ones looking to plug holes in week 15. All excellent theories, but I'd like to add 1,387 more to that list. 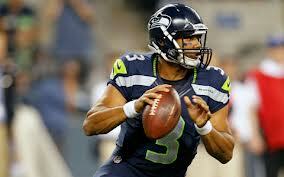 Those are the number of return yards Wilson has accumulated this season. How does your league score return yardage? I bet you don't even know. The last time I won my fantasy league it was party because of Percy Harvin's massive return yardage. Return yardage is probably only part of the answer, but in many leagues it can be overlooked. Game probabilities for week 16 are up at the New York Times' Fifth Down. This week I highlight one the least interesting match-ups on a schedule packed with interesting games. SF and DEN lived up to their rankings last week. In fact, 8 of the top 10 teams won last week, and the only two losses were by teams beaten by higher ranked teams. 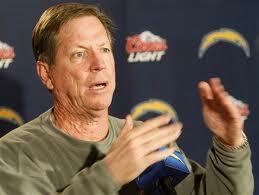 Someone tell Norv Turner there are no timeouts in press conferences. I created a new tool to estimate the time at which a trailing defense (or soon-to-be-trailing defense) can get the ball back if they force a stop. The results are based on the time at the first down snap of a series and the number of timeouts remaining for the defense. You can adjust the expected duration of each play and the time consumed between the previous whistle and the next snap when the game clock is not stopped. The defaults are 6 and 39 seconds respectively. The calculator assumes there will be no stoppages due to reasons other than timeouts and the two-minute warning, such as incomplete passes, runs out of bounds, or penalties. One additional feature is that you can check a box called "Save Timeout." This will indicate that the team on defense would prefer to allow the clock to wind down to the two minute warning rather than stop the clock with a timeout. For example, if the defense has one timeout left and the second down play ended at 2:10, the defense can elect to save the timeout for its offense in exchange for running down the 10 seconds to 2:00. This is, in effect, a trade-off between the 10 seconds of game clock and having a timeout available for an offensive drive. It's very difficult to quantify the value of the timeout on offense. It's intuitively very valuable because an offense can use the middle of the field, which otherwise allows the defense to guard the sidelines. Try this: Enter 2:24 remaining with 3 timeouts. Leave the 6 sec and 39 sec defaults for play and inter-play durations. Click calculate with the Save Timeout option unchecked and checked (with the 12-second default cutoff value). With 'Save Timeout' checked, you get the ball back with 1:54 and retain a timeout for your offense. Without the option checked, you get the ball back with 2:00 on the clock and no timeouts, with the 2-minute warning essentially going to waste. This option usually only makes a difference when the defense begins the series with all three timeouts remaining. It also may be smart depending on when a team can expect the change of possession to occur. The defense does not want change of possession to occur on a play that spans the two minute warning because that combines two potential clock stoppages into a single stoppage. 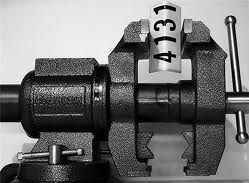 The workings of the NFL game clock is far more complex than it might seem. That's why I forced myself to build the calculator and think through all the considerations. The algorithm behind the calculator is basically a by-product of the one I used to create the chart below, which underpinned my analysis of when a defense should prefer to intentionally allow a TD. The NFL leader in expected points added for a running back? 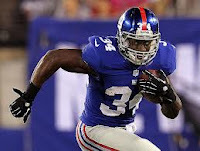 It's not rushing leader Adrian Petrson. It's not Marshawn Lynch, Doug Martin, Alfred Morris or Jamaal Charles -- the rest of the top five in rushing yards. With 40.2 EPA -- a full 17 points clear of second-place Peterson -- Spiller holds the lead through Week 14. Despite only 144 carries -- 25th in the league, between Vick Ballard and Jonathan Dwyer -- he ranks 12th in rushing yards. His 944 on the season puts him between BenJarvus Green-Ellis and Shonn Greene, rushers with 94 and 86 more carries respectively. "We'll play CJ as much as he can play," Gailey said. "Tashard [Choice] will rest him when he needs rest." Last time Spiller was healthy and Jackson was out -- Week 10 against Miami -- Spiller received 22 carries, a career high, rushing for 91 yards and adding three receptions for 39 yards. At -0.2 EPA (-0.01 per play), it was his third-worst game of the season, but still better than the league running back average of -0.02 EPA per play. Still, when a player puts up numbers like Spiller's over the past two seasons -- 6.0 yards per carry on 251 rushes -- one would figure his coaches have a reason for limiting his carries so heavily -- and a better one than just Fred Jackson's roster presence, capable as he may be. But so far in his career, the only two times Spiller has gone over 16 carries -- the aforementioned Week 10 against Miami and 2011 Week 11 against the Jets (19 carries, 55 yards) -- he has had trouble. It's easy to get caught up in efficiency, but in many cases volume is valuable in and of itself. 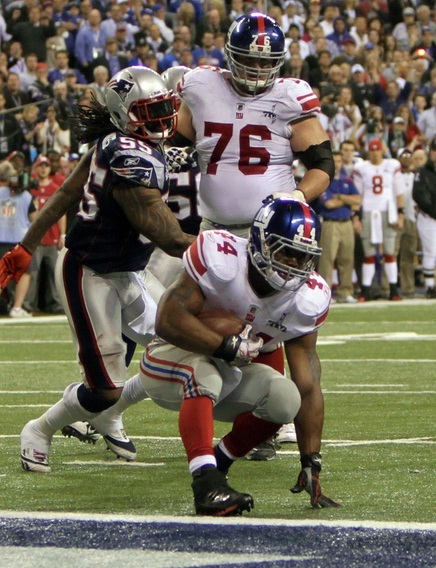 So, the question: is there reason to believe running backs get worse with more carries? In sports, we often see a usage-efficiency tradeoff -- pitchers get worse the deeper they go in games, basketball players tend to shoot a worse percentage the more looks they take from the field, and, as detailed last week, quarterbacks get less efficient the more than have to throw the ball. Does the same apply to runners? To answer the question, I pooled all games of at least five carries and fewer than two passes (to weed out running quarterbacks) from 2010 through this season, a total of 2349 games featuring rushers from Aaron Brown to Willis McGahee. Game probabilities for week 15 are up at the New York Times' Fifth Down. This week I examine how some outlier teams can break the model, including this season's NE Patriots. ...Malcolm Gladwell’s book “Outliers” popularized the term in his title, but the exceptional people he featured in his best-seller were not actual outliers. If I spend five hours trying to learn to play the violin, I’ll stink. But if someone else spends 10,000 hours practicing violin, we would of course expect that person to be great. That’s entirely predictable and fits our model of practice makes perfect. A true outlier would be someone who spent only a few hours practicing, yet was still a violin prodigy. This is the fifth and final part of the series on when a defense would prefer an intentionally allowed TD to forcing a FG. 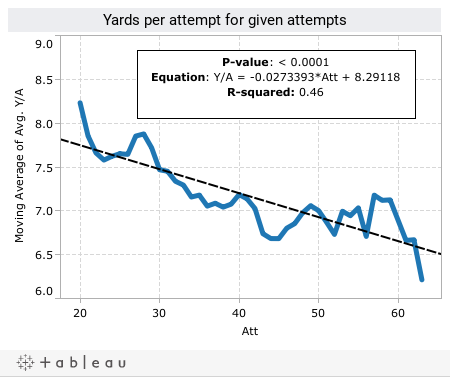 The previous four parts laid out the analysis and assumptions, computed the time remaining when the defense would regain possession, estimated the probability of a failed FG attempt, and estimated the probabilities of the team on defense responding with its own score. Now it's time to put all the parts together and present the results. Taking a step back, the goal is to compare two strategies for the defense. The first is to play conventionally and force a stop and a FG attempt, hoping it will either fail or that there is enough time to match it with a counter-score. The second is to intentionally allow a TD immediately and use the time remaining to respond with a counter-TD. This is the fourth part of a five part series on when a defense would prefer an intentionally allowed TD to forcing a FG. 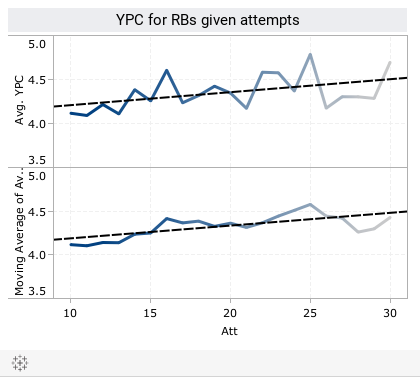 The previous three installments laid out the analysis and assumptions, computed the time remaining when the defense would regain possession, and estimated the probability of a failed FG attempt. This part will estimate the probabilities of the team on defense responding with its own score. If the defense plays conventionally, and the opponent's FG is successful, a score will be needed to win. Either a FG or TD will do. We can assume that the drive will began at or very near the offense's own 20-yard line for a couple reasons. First, the average starting field position for all drives is the 22. And second, it's very likely that, with time at a premium, the offense would prefer a touchback so that no time expires on the kickoff. For this estimate, I looked at all game situations in which an offense needed a score to survive and had a 1st down at or very near its own 20. Success is defined as any drive that results in a TD or FG. 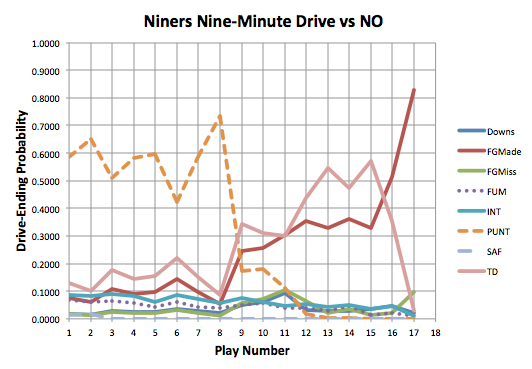 The blue line is the raw success rate as a function of seconds remaining at the 1st down snap. The red line is the smoothed estimate of the probability of scoring based on a local regression. Because there were several bins of data with very few cases (which caused the large noisy swings in the raw averages), I used a regression method that weighted each case by how often it appeared. In other words, if there were 10 cases where a team gained possession with around 50 seconds to play and 20 with around 60 seconds to play, the regression weighted each bin of cases proportionately. NE moves up a couple spots and HOU slips a couple spots after Monday night's blowout. CAR and BAL remain the two big curiosities. Is CAR really the 3rd best team in the league? Well probably not, but they are the 3rd most efficient and definitely much better than their record indicates. Is BAL really the 21st best team? Again, probably not but they certainly are the 21st most efficient. They've dropped two straight games for the first time in the Harbaugh-Flacco era and are now 9-4. They face DEN, NYG, and CIN to finish the regular season, and all three opponents are playing much better than BAL lately. It's plausible that the once 9-2 BAL finishes the season losing six straight games, five regular season losses to finish 9-7 but squeaking into the playoffs to lose in the wildcard round. Unlikely but plausible. Here are the rankings headed into week 15. Click on the headers to sort. Raw efficiency stats are in the second table below. This is the third part of a five-part post on when an intentionally allowed TD is preferable to forcing a FG in the endgame. The first two parts of the post laid out the analysis and assumptions, and estimated the time remaining when the team on defense would get back possession. This installment looks at the probability of an unsuccessful FG attempt to take the lead. 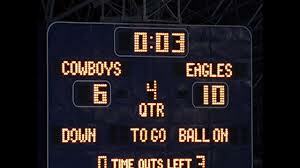 The simplest way to win for a defense caught in the field goal choke hold is to pray for an unsuccessful FG attempt. This is a mostly straightforward calculation but has a couple wrinkles. The success rates here include all possible causes of a FG ultimately being unsuccessful. That includes blocks, botched snaps, and even penalties that force longer attempts which turn out unsuccessful. 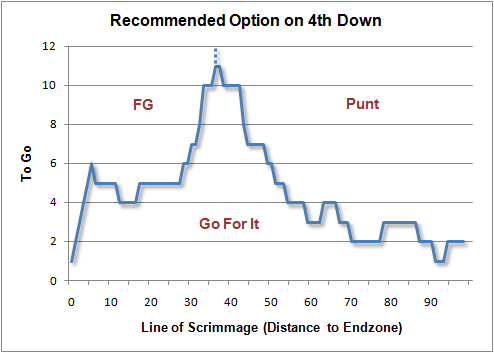 Also, as mentioned previously, an estimate of the expected field position on 4th down is required. For now, I will say that the offense will gain 5 yards during its 1st, 2nd and 3rd down plays. This is essentially a plausible placeholder for now, and a more detailed analysis can be done to confirm or adjust this. This is the second part of a five-part series on when a defense would prefer an intentionally allowed TD to forcing a FG. The first part laid out the analysis and assumptions. This part explains how to estimate the time remaining when the defense would regain possession following a forced FG attempt by the offense. The first task of the analysis was to create an algorithm to compute the time on the clock when the team on defense would get the ball back following a forced FG. This is a function of current time and time outs remaining for the defense. For example, suppose the offense has just converted a series so that the 1st down snap will happen at 1:20, and the defense has two timeouts. The offense will run three times, you'll call both timeouts, and following a FG, you'll probably get the ball back with 17 seconds remaining. The two-minute warning is factored in, which is more challenging than it might seem. The time-you-get-the-ball-back algorithm assumes that the defense will use its timeouts at every immediate opportunity. The only exception will be when the play itself spans the 2-minute warning. For example, if there is 2:10 on the clock at the snap and the play duration is 6 seconds, the defense will call a timeout at 2:04 rather than allow the clock to wind down to the 2-minute warning. However, there is a special case where the defense may want to allow the clock to run down to the two-minute warning rather than use all its timeouts. For example, if there is 2:10 remaining between 2nd and 3rd down and a team has 2 timeouts remaining, it may chose to allow the clock to wind down to 2:00. The third down snap would occur following the two minute warning, and the defense would call its 2nd timeout between 3rd and 4th down, at around 1:54. This would allow the defense to save one timeout for use on offense. This study examines a team's chances of winning at the end of the game when an opponent is in potentially game-winning FG range. It's a dire situation for the team on defense because the offense could run enough time off the clock before its FG attempt so that there is no time to respond. Two strategies are compared. The first is playing for the stop and forcing the FG attempt. This may be dangerous due to the ability of the offense to burn clock. The second strategy is to allow an immediate TD. This strategy forfeits points to the opponent in exchange for enough time to respond with a game-winning TD drive. There is no guarantee the offense will take the bait and score a TD. 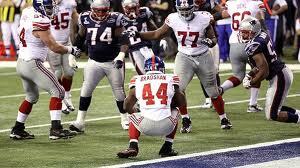 If the offense is cognizant of the strategy, they may take a knee close to the goal line. So strictly speaking, this analysis merely estimates which combinations of circumstances make an immediate TD preferable to forcing a FG attempt. Even if all offenses were prepared for this contingency and were inclined to take a knee, this analysis lays out when that would be the smart move. The guys at Deadspin and Slate asked me to write up how Goodell's suggestion that kickoffs be replaced by punts would affect the game. Here's the Slate link. Here's the Deadspin link. ...With proposed rule changes like these, I ask myself, "What if things had always been this way? Would we want to change from that to the way things are now?" If football didn't have the extra point—an odd play that's meaningless to game outcomes 99.9 percent of the time—would we want to invent one? Probably not. I strongly recommend Keith's post on the subject too. This week's article at the Post looks at which of the league's QBs are outperforming their offensive lines the most. Surprise! RGIII tops the list. Despite his line’s performance, Griffin has been able to produce consistently, ranking third overall with 120 EPA this season. That’s 10 net points per game. Only Tom Brady and Matt Ryan currently have more total production. The distinction of ‘net’ points versus absolute points is important. It means that however many points a typical opponent is able to generate in a game, Griffin is responsible for 10 more points than that. The difference between Griffin’s personal rank (3) and the Redskins offensive line’s rank (28) is 25 spots. No other quarterback has a bigger rank difference between his own and his line’s performance. Matt Ryan is a distant second at 21 spots of rank difference. Game probabilities for week 14 are up at the New York Times' Fifth Down. This week I revisit Sanchez's performance and his contract extension from the off-season. Arguments on the Rookie of the Year seem to be favoring Robert Griffin III over Andrew Luck at this point in the season. Griffin's performance has been spectacular, certainly -- he's thrown for 2,660 yards and 17 touchdowns against just four interceptions. His 714 rushing yards on 105 carries translates to a league-leading 6.8 yards per carry, and his 6.5 AYPA is tied with Peyton Manning for third in the league. Luck runs well, but nowhere near Griffin's standard -- he owns 216 yards on 44 rushes. Luck has thrown for over 900 more yards than Griffin and matched Grffin's 17 touchdowns. But his AYPA is a middling 5.1, 21st in the league and tied with Andy Dalton. Griffin has a 23-point EPA advantage and a 0.09 point per play advantage. But for those who prefer to use more context-neutral stats -- as opposed to WPA, which has Luck second in the league at 4.32, over 1.5 wins better than Griffin -- there is one point in Luck's favor: the sheer volume of his output. Washinton's' offense is obviously focused on Griffin, but the team uses the run liberally, rushing over 22 times per game (not counting Griffin's rushes). Alfred Morris carries the bulk of the load, with 1,106 yards (4.8 per carry) on the season. The Colts have rushed just 22 times per game themselves, but they've also run 117 more plays (just under 10 per game) more than Washington, and those extra plays are all directed through Luck and the passing game. All told, Luck has thrown 14 more passes per game than Griffin. Basketball analysts have picked up on an essential point of the game: as usage rate -- the burden of the offense -- increases, efficiency tends to decrease. Steve Kerr was a more efficient scorer for the 1995 Chicago Bulls -- he shot 52.4 percent from three -- but there was no way he could take 22 shots per game with any efficiency. Jordan continued to excel even when confronted with the most difficult shots -- under duress, at the end of the shot clock, or both. Very little movement this week. Last week, Brian offered analysis on the new overtime format, particularly on fourth down decisions. The new OT format is inherently state based, as he mentions, and therefore can be modeled adequately by a Markov chain (thanks to some of the commenters for the idea). The Markov property, which essentially states that we only need the most recent event to predict future events, holds true. If we are in a sudden death state, we don't need to know whether both teams kicked field goals or who even received the opening kick in order to make a prediction about who will win the game. Fourth down and short in the middle of the field does not mean you need to run a goal line play with the jumbo package. The average play in the NFL gets 5 yards. What's the completion percentage for short passes in this league, like 75%? Line up and just run a standard play. Use play action. Throw an intermediate or deep pattern once or twice a season to keep defenses honest. How about a bubble screen if the corners don't press. And if they do, let them get burned. Do not telegraph your intent to plunge for the line of gain. That only makes the defense's job easy. Spread out and force the defense to defend the entire field and your success rates will improve. Punish the defense for crowding the line of scrimmage. Think of fourth and short as an opportunity to know exactly what the defense is going to do and take advantage of it. On the goal line, it's different. There is very little of the field to defend, and yards gained beyond the goal line are irrelevant. Jumbo packages and plunges make a lot more sense. Game probabilities for week 13 are up at the New York Times' Fifth Down. This week make a cursory comparison between the 49ers' Colin Kaepernick and Alex Smith. 2. The team down by 3 now has one possession to match the FG (triggering SD) or score a TD to win. Up 28-21 with the ball nearing the end of the third quarter, the Niners had a 78% of winning the game over the streaking Saints. That 78% does not account for the prolific Saints offense, though. What followed was a nine-and-a-half minute drive, lasting deep into the fourth quarter, draining precious time that Drew Brees would need in order to make a comeback. Any Saints fan -- or someone whose fantasy team depends on the Saints offense like myself -- could not have been more frustrated watching the Niners rumble down the field over the course of 17 plays and 85 yards. IND QB Andrew Luck spiked the ball with 1 sec remaining in the 2nd quarter, bringing up a 3rd and goal from the 1-yd line. 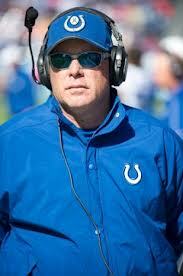 Without a moment of hesitation, acting head coach Bruce Arians ran in the FG unit for the chip-shot. The FG was good and IND took at 13-6 lead over BUF into the locker room. Was this the smart call? Let's set aside the score and look at the general case. It's a special situation because there is no subsequent kickoff. Instead of being worth 2.7 Expected Points (EP), a FG is worth a full 3 EP. And a TD would be worth a full 7 EP instead of 6.7. The offense would take the full value of the score. How Much Did Jim Schwartz's Attempted Challenge Cost the Lions? Had Schwartz not thrown the challenge flag on Forsett's run, the play would have been reviewed and certainly overturned. That would mean a 3rd and 2 for HOU on their own 27 with 6:40 or so in the 3rd quarter. Down by 10 points, that means at 0.18 Win Probability (WP) for HOU. But because Schwartz threw the challenge flag on a play that would have been otherwise reviewed automatically, he received an unsportsmanlike penalty. The result was that the play was not reviewed by rule, and Forsett's TD stood. That gave DET a touchback up by 3, giving HOU a 0.35 WP. That's a cost of 0.17 WP. It essentially doubled HOU's chances of winning at that point. Last week belonged to CIN, who added 17 percentage points to their overall playoff chances. This was thanks to a chain of events almost all of which favored the Bengals. PIT, MIA, and IND all lost while CIN won big themselves. PIT and MIA tied for the biggest overall drop at 10 percentage points due to the same combination of events. On the NFC side, GB jumped up 16% while D ET dropped 12%. 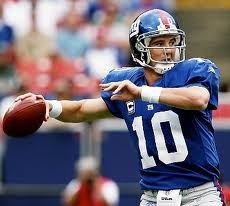 This week I consider the theory that Eli Manning's mid-season swoon could be due to a "tired arm." Let's play a game. It's called Guess Who Won. Team H was at home hosting Team V. Team H threw for 7.5 YPA with no interceptions. Team V threw for 5.0 YPA with 2 interceptions. The adjusted YPA was 7.5 for team H and 3.2 for team V. Each team lost one fumble and had the about the same sack yards. Team H was outrun by team V, by 167 yds to 97. But both team's run SR were within 2% of each other. Also, team H had 133 return yards (not counting kickoffs) compared to only 15 for team V.
Extra hint: Before the end of 60 minutes, Team H scored 3 TDs compared to Team V's 2 TDs. Extra, extra hint: Team V received a kickoff down 8 points with a 0.05 WP with 6 minutes to play, needing a TD and a 2-pt conversion just to tie. And by the way, Team H has a (statistically) above average defense so far this season. Guess who won! If you guessed Team V, you're correct. TB beat CAR in OT. My point is not to find a sniveling weasel-like excuse for the efficiency model's ranking of CAR as a top 5 team despite it's 2-8 record. (Ok, you got me, that's partially why I'm pointing this out.) The other reason is far more interesting. What team does CAR remind you of in terms of GWP vs actual record? It reminds me a lot of the San Diego Chargers from a couple years back. SD had gaudy stats across the board. The efficiency model had them ranked exceptionally high week after week, but they defied the probabilities and found ways to lose games despite having better athletes and very often better bread-and-butter performance on the field than their opponents. I am not saying the model is the true measure of a team and therefore any significant deviations are statistical flukes. I'm suggesting the opposite. There are significant factors not captured by the model, and one of those factors is Panthers head coach and former Chargers defensive coordinator Ron Rivera. 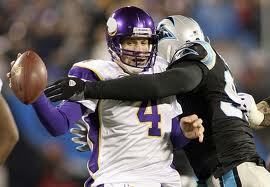 Admittedly I don't follow the Panther's from play to play and game to game, so I won't jump to conclusions. but to those out there who do follow Carolina, please tell me why he should be kept on as the head coach. Here are this week's rankings. As always click on the headers to sort. Team efficiency inputs can be found below. On Saturday, I watched as my Northwestern Wildcats punted on 4th-and-1 from midfield, up three with 1:30 remaining. A conversion would have guaranteed a win, allowing the Cats to kneel down. By punting to Michigan State, I was certain NU would lose in dramatic fashion once again. Luckily, the Cats defense came up big, making what seemed like their first fourth-quarter stand of the year. 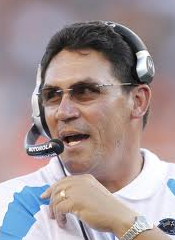 Ron Rivera had an eerily similar decision against the Bucs this week. With just over a minute left, the Panthers had the ball at the Tampa Bay 49, up 21-13. The Bucs had used all three of their timeouts, so a conversion wins the game. Not only do the Panthers have one of the best goal line backs in the league in Cam Newton, but they also have the human bowling ball, Mike Tolbert, who was born and bred for those situations. I get several requests for data, help with research papers, and interviews each week. Of all the interesting requests, one stands out. A woman wrote to me saying that her husband was a diehard fan of ANS, and that he would watch games with a crumpled up printout of the fourth down go-for-it chart while screaming at head coaches through the television. For Christmas she wanted to get him a large framed copy of the chart, so she asked me for a large high-resolution version. How could I not oblige? For those of you a little less dedicated to the cause, I thought I'd put together a list of my recommendations for gifts suitable for the stathead in your life, which just might include yourself. In no particular order, here are some gift ideas with an advanced statistical bent. IND really improved their wildcard chances this week. It's the Colts and everybody else gunning for a wildcard berth. The other battle in the AFC is going to be for the 2nd seed between BAL, DEN, PIT, and NE. In the NFC the wildcard chase is SEA and everybody else. If DAL gets in, it looks like they'll have to win the division. I still think NO is undervalued by my model. These numbers do not count BUF's win over MIA last night. Sorry about that. For up to date numbers, you can always go straight to nfl-forecast.com. Tampa Bay Buccaneers opponents are getting used to an unfortunate sight: the Josh Freeman deep ball. Freeman hit on two more 30-plus yard passes against the Chargers in Sunday's victory, this 54-yard dart to Mike Williams and this 31-yard strike to Vincent Jackson. Freeman has now completed 32 deep passes (at least 15 yards downfield) for 1,064 yards, five touchdowns and just one inteception, accounting for nearly 70 expected points added. All this has come in just 68 attempts -- Freeman is averaging 15.6 yards per deep attempt and over an expected point per throw. We shouldn't be surprised. Freeman made his way into the first round of the 2009 draft despite mediocre college numbers, mostly thanks to his size and the arm strength that comes with it. He was compared to players like Daunte Culpepper and Ben Roethlisberger -- huge quarterbacks who (at least at one point in their careers) made a living off the deep ball. For some reason, Freeman and the Bucs never really embraced the deep ball before this season. Freeman went deep on just 14 percent of passes last season, dead last among 39 qualified quarterbacks. He threw deep less often then players like Tyler Palko, Ryan Fitzpatrick, Kyle Orton and Matt Hasselbeck -- inexplicable, given the respective skill sets. Chad Pennington threw 18.7 percent deep passes in 2008, his last full season. This seems to be the major revelation of the Greg Schiano-Mike Sullivan establishment in Tampa Bay: Josh Freeman has the fabled "big arm," so why not use it? This season, Freeman has gone deep on over a quarter of his pass attempts; his 25.3 percent ranks third in the league behind Joe Flacco and Andrew Luck. The concept isn't particularly difficult -- let Freeman drop back, and if the pocket holds, he has the arm to get it to the receiver down field. The equation here is pretty simple. Take a solid defense. Add Peyton Manning. You get a team that's very hard to beat. Play-by-play data through week 9 of the 2012 season has now been updated. After we wrote about Mike Tomlin's fake field goal decision in Week 9, it got me thinking about the general success rate of fakes versus typical fourth down attempts. Before moving forward, it should be noted that it is difficult to pull fake field goal and fake punts out of play-by-play data because they are not explicitly specified as such. So, you may be getting an aborted or bad snap or the field goal/punt formation may not have been recorded. We attempted to clean the data up as much as possible, which resulted in 213 fourth down fakes since 2000. Similarly, we looked at the roughly 5500 fourth down normal go-for-it attempts. Granted, a lot of these will take place at the end of the game when teams are down by significant margins or must go for it in order to stay in the game, but that should not greatly affect their conversion rates. It may give us a sample bias, though, because those teams that are losing are typically worse offensively. Fake attempts are exceedingly rare and given that there are only 200 or so attempts, we must be cautious of sample size issues. The most frequent fake attempts are on 4th-and-1 or 4th-and-2 which have happened about 30 times a piece. Compare that to over 2000 regular go-for-it attempts on 4th-and-1 and over 600 regular attempts on 4th-and-2. The AFC wildcard competitors appear to be either BAL or PIT, depending on who loses the division, plus IND, MIA, SD, and NYJ. In the NFC, it's looking like either CHI or GB, whichever team comes in second, plus SEA, DAL, MIN, and a bunch at 10% or below. Despite what the numbers say, it looks like NO has improved significantly beyond their early-season lows and have a better shot than indicated. These numbers do not count IND's win last night. Sorry about that. They were heavily favored by the model, so the effect is modest. For up to date numbers, you can always go straight to nfl-forecast.com. Game probabilities for week 10 are up at the New York Times' Fifth Down. This week the lead-in summarized my recent post on the dangers of misplaced confidence in analytic models of open, real-world systems. Andrew Luck capped his first half-season in the NFL with an indisputably great performance Sunday, as his 433 passing yards on 48 attempts (9.0 yards per attempt) and two touchdowns pushed the Colts past the Dolphins, 23-20. 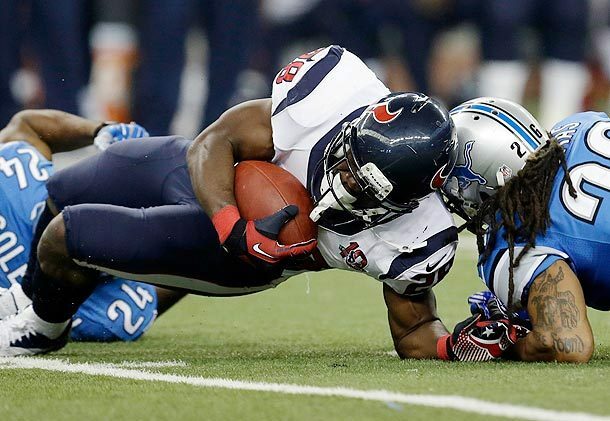 The victory pushed what was a hapless Indianapolis team last season to 5-3 and into the playoff hunt. It's unclear if the Colts can keep riding so high -- they rank just 26th in our efficiency ratings and NumberFire has them in the playoffs in 51.5 percent of simulations. Luck's sharp performance goes beyond just Week 9's effort. He'll enter Week 10 ranked fourth in WPA, eighth in EPA and ninth in EPA per play. His only advanced stat blemish might be his 5.4 AYPA, tied for 16th with Ryan Tannehill and Joe Flacco, stemming from his 30th-place 56.5 percent completion rate. But given the weight placed on Luck's shoulders in this Indianapolis offense -- his 336 attempts rank third in the league. Given the 14 brilliant years of service Peyton Manning gave the Colts prior to his neck injury and subsequent release, the former Colts All-Pro will constantly be used as a measuring stick for Luck. Just looking at the rookie years, one would imagine Luck will become the greatest quarterback ever. Manning threw a whopping 28 interceptions (4.9 percent of passes) in year one and managed a rough 4.0 AYPA. Many players have posted superior rookie seasons leading into less-than-Hall-of-Fame careers. See, for example, Neil O'Donnell, Jim McMahon, Joe Flacco and Jake Plummer. As such, it may be more educational to compare Luck to Manning's Colts career as a whole -- or at least the 12 seasons worth of data we have here at Advanced NFL Stats (dating back to 2000). 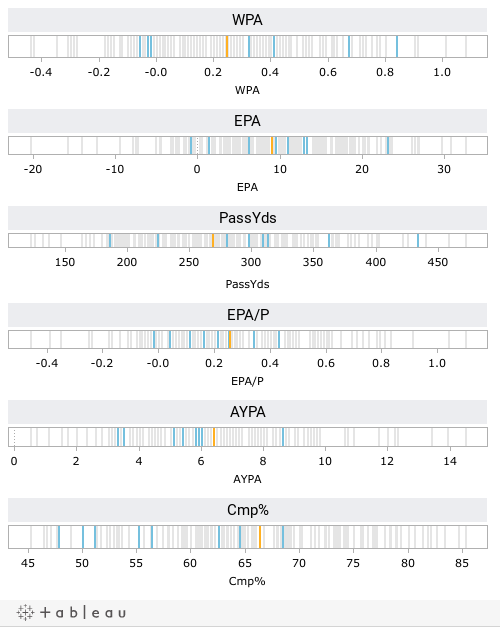 Luck's games are in light blue, Manning's games are in gray and Manning's averages are in Bronco Orange.